September 10, 2015 - Within a deep and narrow cave in South Africa, paleoanthropologist Lee Berger and his team found fossil remains belonging to the newest member of our human family. The Homo naledi discovery adds another exciting chapter to the human evolution story by introducing an ancestor that was primitive but shared physical characteristics with modern humans. Because the cave system where the bones were located was extremely difficult to access, it could be speculated that these hominins practiced a behavior previously believed to be modern: that of deliberately disposing of their dead underground. 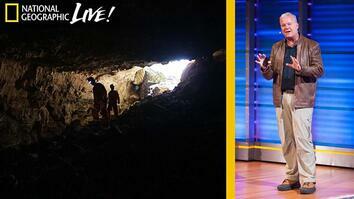 Click here to read more about the Homo naledi discovery. 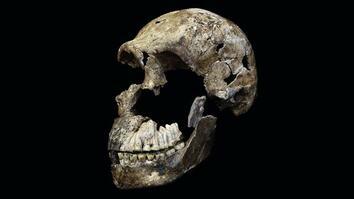 Watch NOVA/National Geographic special, “Dawn of Humanity,” now streaming online on PBS. Read the finds described in two papers published in the journal eLife. 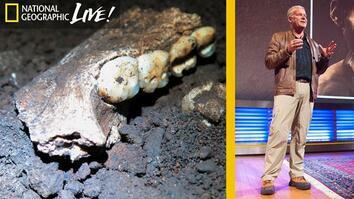 What these discoveries are telling us is that there’s a lot out there to be found. We actually don’t have the whole story of human evolution. The homo naledi fossils are extraordinary in a wide variety of ways. We know they have the characters of an early member of the genus homo. By comparing their morphology to other early hominids we can see that we would place them right at the base of the lineage that leads to Us. We’ve never seen a non-human that shares so many primitive and yet sometimes advanced characters: tiny brain, curved fingers but a generally human-like hand, long legs and a human foot. We are looking at well over a dozen, in fact probably 18 different individuals representing all age spans from near fetal age to senile individuals who were at the last stages of their lives. When I first saw these images by my exploration team, I knew we had to act fast. The Rising Star cave system is one of the best known in South Africa. It’s been caved continuously for more than fifty years. I had this fossil lying on the surface and I could see that it had been damaged. So, I called National Geographic to put together an expedition fast. The entrance is very, very difficult. To get to it you have to move through a seven-and-a-half inch slot, wiggling your way across sharp rocks before you drop into this remarkable little chamber. And the floor is quite literally comprised of parts of the bodies of these human ancestors. “All right! You got the fossil! It appears based upon the context that we have discovered this incredible assemblage of hominid fossils in is that they were deliberately placed there by their next of kin after death. Homo naledi was doing something that until this moment we thought was unique to modern humans, that is deliberate disposal of the dead. If this hypothesis holds true, that’s an extraordinary thing. What naledi has taught us is that there is clearly more out there that we didn’t know.